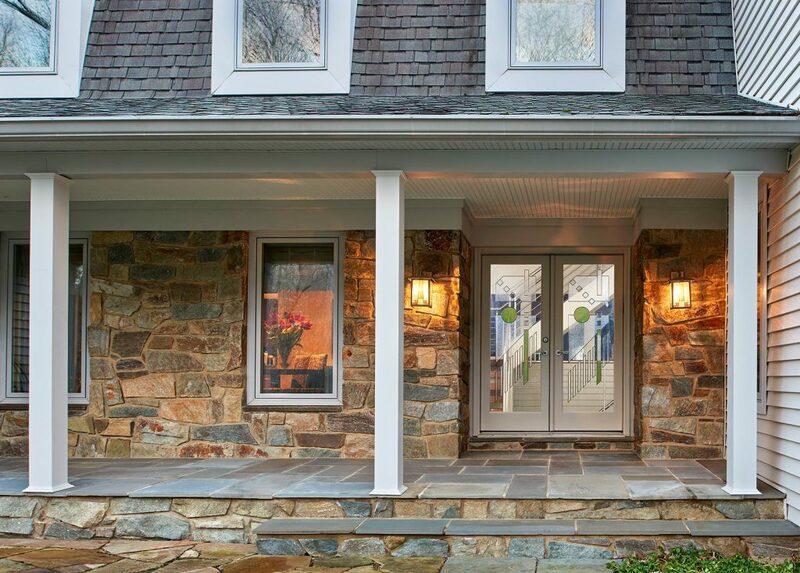 Custom stainless rails, chunky oak treads, and open risers create a light-filled welcome to this suburban Maryland home. 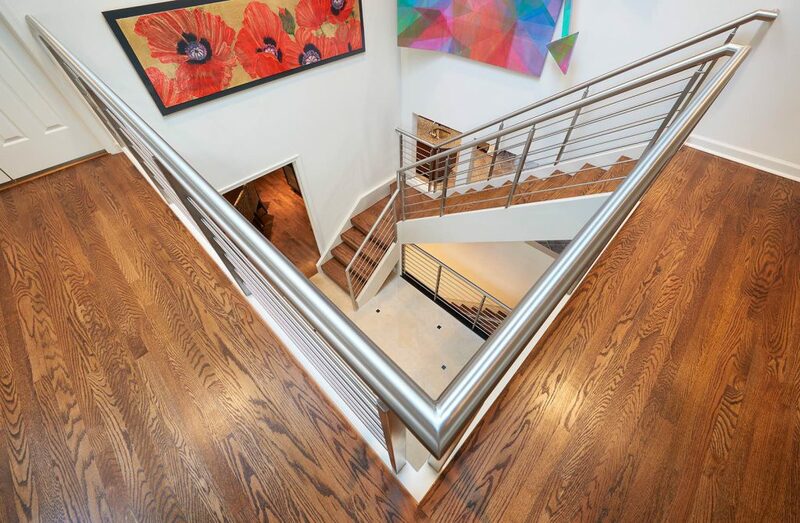 The clients, who opted to update the old transitional staircase, wanted a lighter, more open foyer space to reflect their modern aesthetic and make more room for art. 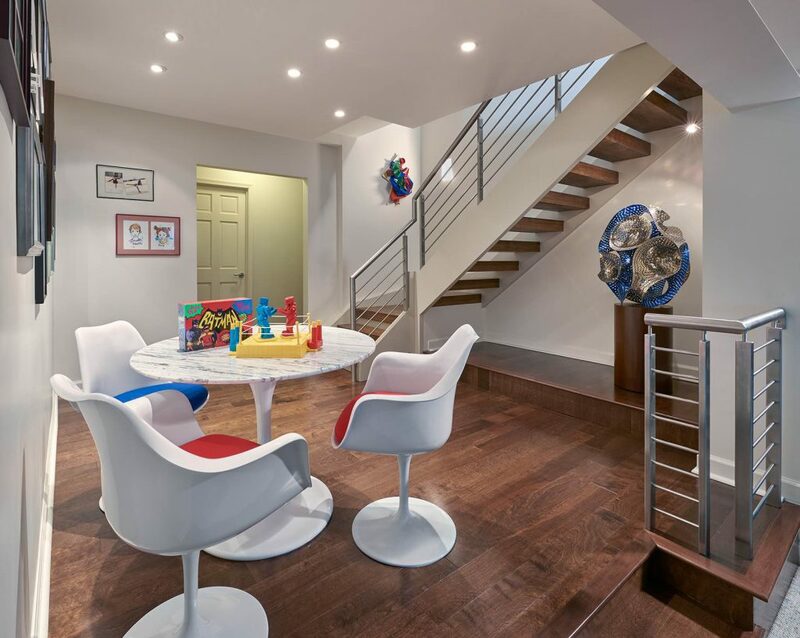 The homeowners also hoped to extend the staircase all the way to the basement — instead of having to access the lower level through a door to separate stairs. The result: a more open feel and better connection to the rest of the house. 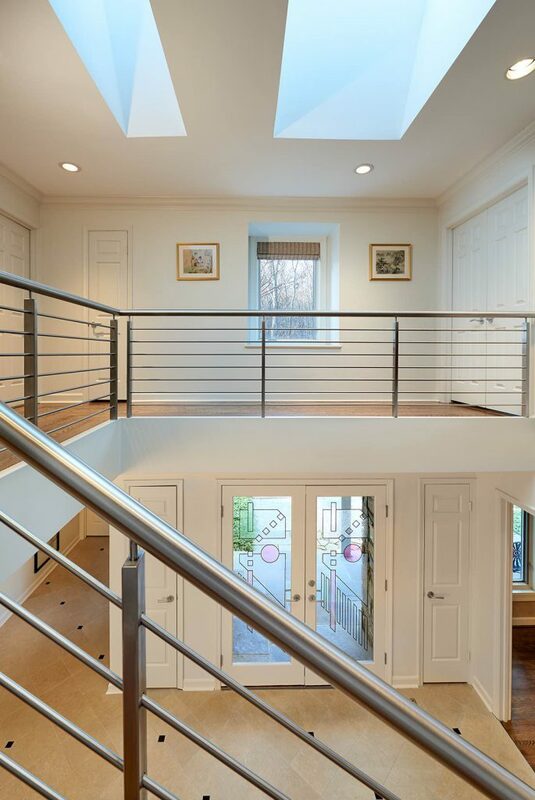 A trio of square openings carved out of an existing solid wall creates new sightlines and interesting angles. Hardwood flooring replaces carpet on the second floor landing to continue the stairs’ organic texture and match existing flooring throughout the house. 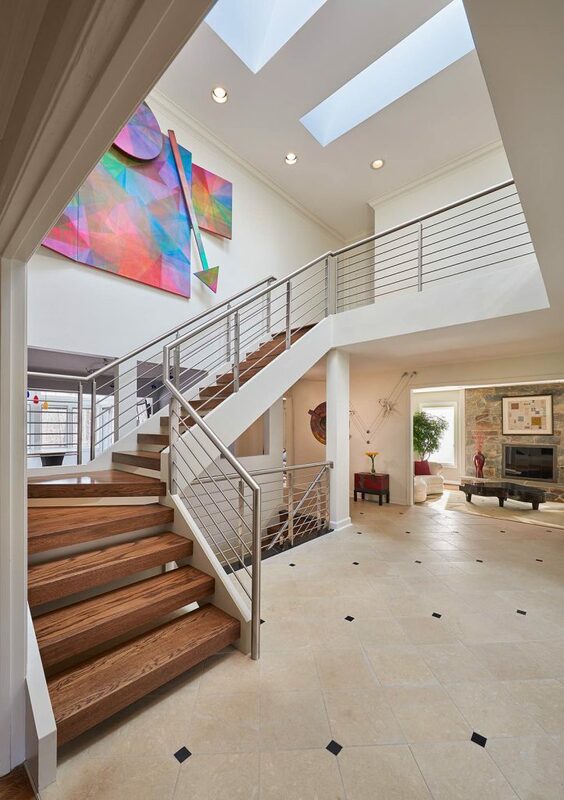 Natural light from two skylights now floods the foyer from the second floor landing. Simpler columns carry the foyer’s clean details outside to the front porch, where an additional window and existing art glass double door allow even more light inside.